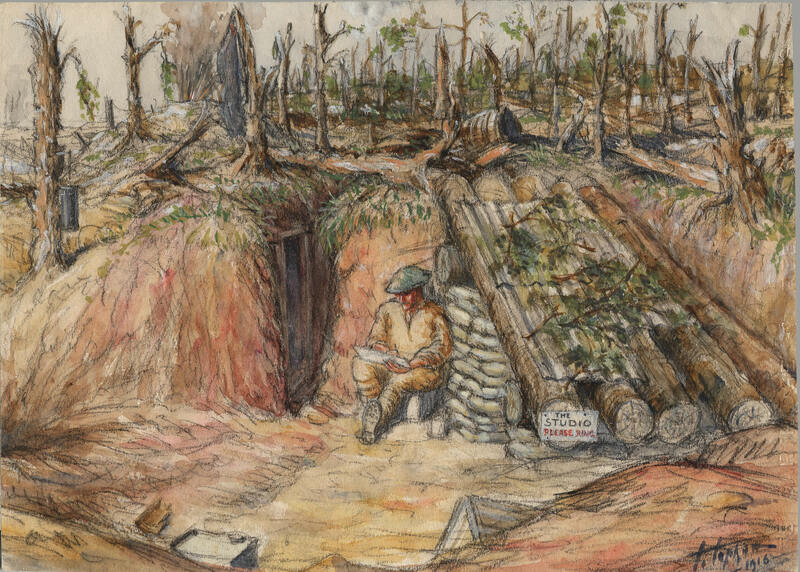 Official war artist William Topham depicted his "home" while serving on the Somme, which was later destroyed by shell fire. "My home at Bottom Wood - about 1/2 way between Mametz and Contalmaison, in the trench the entrance to an old German dugout can be seen. The corrugated iron roof is covered by branches to conceal it from aircraft." William Topham.